A company that started in a backyard shed is now leading the pack, and been recognised for its innovative practices. 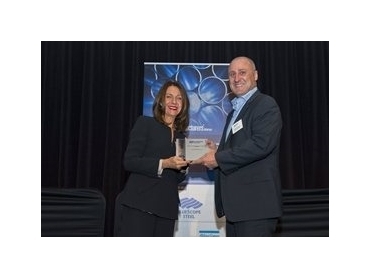 Leading Australian automation and industrial control systems company Sage Automation won the Most Innovative Company award, for its holistic range of products and services. The company literally started out of a shed in a backyard in 1994 when Andrew Downs, founder and managing director, got tired of substandard work turned in by contractors where he worked, as the head of the electrical department at Bridgestone. If he couldn't get decent automation work done by contractors, then he'd have to do it himself. According to a profile article, Downs left school in year 11, performed his apprenticeship at Uniroyal, and began contracting on the side, eventually striking out on his own after being told by his then-boss to stop moonlighting or be sacked. Today, nearly two decades later, Sage is a highly awarded and highly diverse company, manufacturing all its industrial control cabinets in Australia and offering a broad range of technical support and business improvement offerings. It employs over 290 workers and turns over more than $70 million. Its businesses include Sage Service, which supports Sage's development the technology in customers' operations, and is a 24/7 breakdown support maintenance, providing certainty and peace of mind for companies with leading edge technologies and critical production requirements; and Sage Didactic, initiated to advance the technical skills of Sage's own workforce by providing education and training using the latest industrial automation and process control technology. SAGE Didactic is a national leader in industrial control and automation technology training across all industry sectors. Sage also has a Business Optimisation (Manufacturing Execution Systems) operation, which has helped customers to implement MES systems which make them better positioned to customise products, provide rapid response and improve operational performance. It believes that the MES and MIS (Manufacturing Information Systems) will become more and more important to manufacturers facing tougher and tougher global competition, and looking to gain an edge through linking control systems with business objectives in real time. Also of note is SAGE and Project Engineering's joint venture, Prozess, which began in in 2012. The company says Prozess creates "bankable process improvements" for manufacturers across industry sectors including mining, FMCG, building materials, food and beverage, and agriculture processing. "Providing a solution to a client brief is just one part of the puzzle," said Downs in a statement about the joint venture. "To truly add value to a business you must first identify the core problem. In many cases it's the problem that the client is unaware of that is really restricting their growth or competitiveness." Prozess has so far performed projects for SPC Ardmona (water management and energy assessment), DBS (Diverse Barrel Solutions) (efficiency improvement to wine barrel rejuvenation process), Precision Components (a total preventative maintenance study, in conjunction with the Automotive Supplier Excellence Association) and Cheetham Salt (evaluation of manufacturing processes at its Price facility). SAGE has benchmarked itself against the world's best control system integration companies and in 2009 became the first Australian company to be accredited to the global quality benchmark of the Control System Integration Association (CSIA). This certification, says Sage, demonstrates their commitment to the highest possible standards for excellence and puts them at peer status with the world's best system integration companies. Biannually, all aspects of the company's operation are certified by thorough review by independent auditors on more than 76 criteria including strategic planning, general management, project management and methodologies, technical management, human resources, business development, infrastructure support activities, quality assurance processes and finance. SAGE Automation remains the only Australian company with this certification. Highlighting its dedication to Australian advanced manufacturing, Sage participated in the 20th Adelaide Thinker In Residence Program, in which Professor Goran Roos, a manufacturing business model world expert. The purpose of the Thinker In Residence program was to provide input and transfer competence around business model innovation, drawing on technology change for small to medium enterprises in the manufacturing industry.